Nat is back to good health. I've got lots of posts to share this week, keep your eyes open. This week's craft is a pincushion. Something I really needed, because I'm constantly pricking my fingers reaching into the little blue box of 200 pins, not to mention that the little blue box with 200 pins is a curiosity for the many inquisitive fingers in this house. 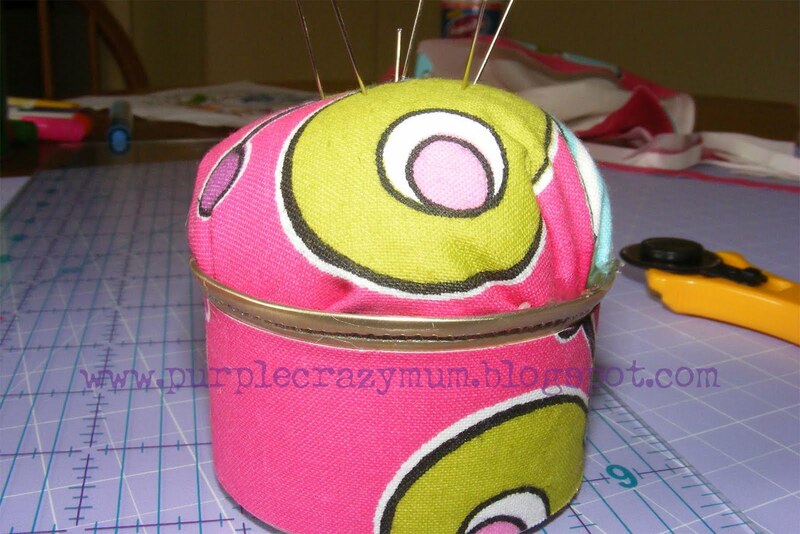 At least with a pin cushion I can fool myself into believing that the inquisitve fingers won't touch the pins any more.